Penn opens the 2017 Football Class 6-A playoffs on the road at Valparaiso on Friday, Oct. 27. 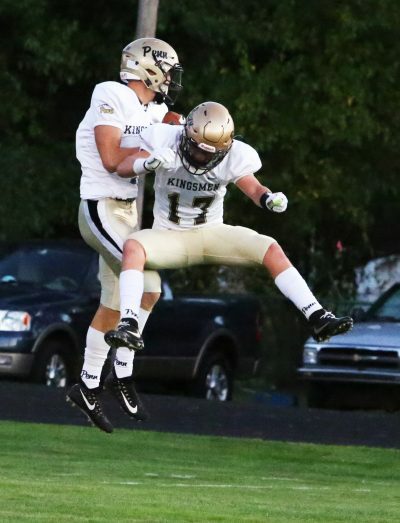 Penn is fourth in the state in most sectional Championships in Football (23) and the Kingsmen have won four consecutive Sectional Championships. Penn owns five State Championships in Football. Penn and Valparaiso are each 6-1. Valpo defeated the Kingsmen 12-7 on Friday, Aug. 18, in the season opener. Penn has won six games since the season opener. Chesterton (3-4) plays at Warsaw (4-3) in the other Sectional 2 Game. The Sectional 2 Championship Game is set for Friday, Nov. 3. Admission is $6 a person.